I got so excited about the new material I’ve been cranking out lately that I’ve decided to “leak” a free preview single from my forthcoming EP today!! 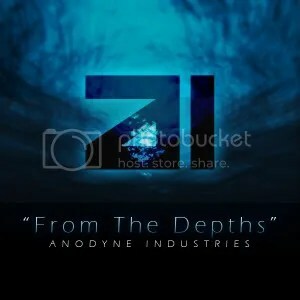 “From The Depths” is now available as a free download from my BandCamp page. Hurry though, this is a limited time offer and the track won’t be available for long! If your ears are happy hit the SHARE button!! This Just In: According to Sublogic.fm, “This track eats goofy midrange wobblers as snacks & shits out their silly air horns in its wake deep, deep beneath the sea where, deservedly, they will never be heard from again.” Need I say more?